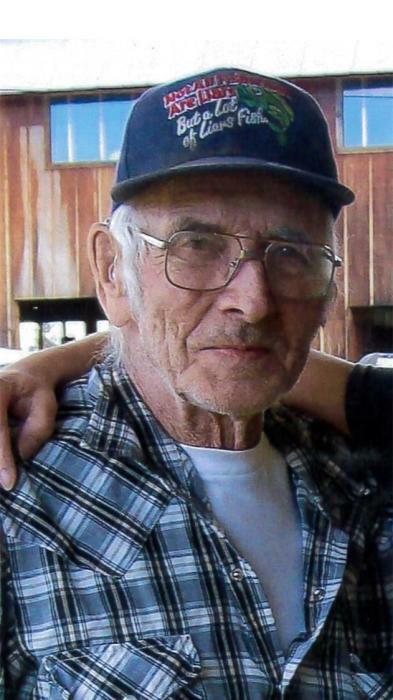 Eugene “Gene” Drake, 83, of Libby, MT, passed away April 3, 2018 at his home in Libby. He was born March 30, 1935 in Kalispell, MT to Vernon and Anna (Keller) Drake. Gene was the youngest of nine children. He worked on the family farm when he was young. In 1955, Gene married Hazel Helmer and they had 4 children. They later divorced. He worked at several jobs before going to work at the Berkeley Mine in Butte in 1956. They later moved to Libby and, in 1958, he began work for the J. Neils Lumber Company. He worked there for all the various owners until his retirement in 1993. Gene was an avid hunter and fisherman. He enjoyed tinkering on anything with a motor; gardening; and “BS’ing”—especially BS’ing. He was preceded in death by his parents; siblings Eleanor, Evelyn, Emily, Ernie, Elmer, Everett and Elaine; and grandsons Danny and Christopher. Survivors include his brother Edwin “Ned”; children Vernon (Jo), Carol, Douglas (Julie) all of Libby; and Bill (Marge) of Elko, Nevada; 10 grandchildren; 13 great-grandchildren; and numerous nieces and nephews. Per Gene’s wishes, there will be no public service. The family will have a Celebration of Gene’s life later this summer. Arrangements are under the care of Schnackenberg & Nelson Funeral Home & Crematory of Libby. Online condolences and memories may be shared by visiting www.schnackenbergfh.com.